Last night during "Game of Thrones," Twitter was set ablaze with the hashtag #NoConfederate, in response to HBO’s announcement of their upcoming show "Confederate." Organized by #OscarsSoWhite creator April Reign, #NoConfederate became the number two trending topic worldwide as scores of users shared their discontent over HBO’s attempt at an alternate history narrative; one where slavery never ended — and what would that look like in 2017? While many are infuriated at the concept, it comes as no surprise. Hollywood has a long history of rehashing the trauma of slavery and leveraging Black pain to create bankable, profitable movies which continue to get the green light despite pushback. In the last decade, we have seen the likes of "Django Unchained," "Lincoln," "12 Years a Slave," "Free State of Jones," and other films make hundreds of millions of dollars and take home prestigious awards. America’s obsession with the slave narrative continues to be a black eye on society's movement to a “post-racial America,” serving as a constant reminder of how little removed we are from an oppressive past. 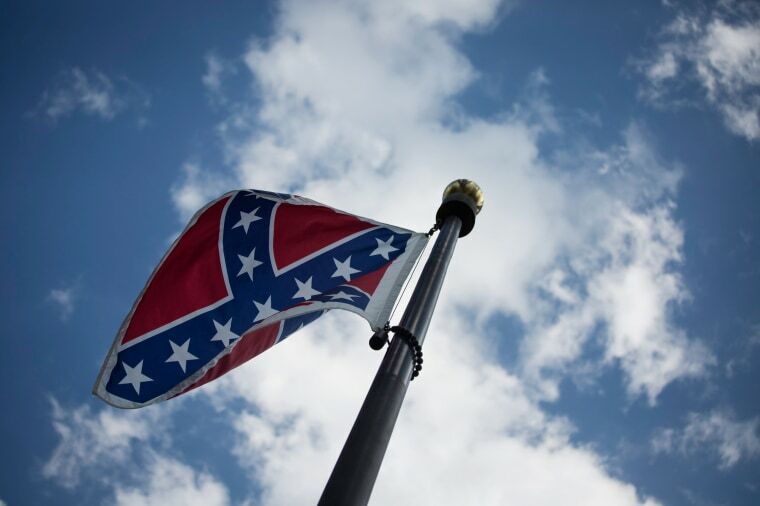 "Confederate" chronicles a time when the southern states have successfully seceded from the Union, as HBO puts it, "giving rise to a nation in which slavery remains legal and has evolved into a modern institution." But why create a show discussing the advancement of slavery during a time when the country is experiencing the height of racial tensions? There is an unhealthy relationship between white America and the desire to depict a reality where slavery never ended; a direct contradiction to the progress and stories of resilience and Black excellence we are living each day. #NoConfederate is more than just about a show. It's about NOT empowering white nationalism, an ideology that DESTROYS black/POC lives. And yet, I would argue that the Emancipation Proclamation never truly ended slavery, but rather fostered the creation of systems of oppression including education inequality, Jim Crow laws and mass incarceration. For instance, historically, Blacks were not afforded the same rights and opportunities to learn to read or write, and taught in substandard conditions in comparison to our white counterparts. While Brown vs. Board of Education desegregated schools, it never created true equity, only widening the education gap between races. There is no need to see ourselves as depicted as modern-day slaves, living in a country where we sometimes feel that slavery has never died. The prison-industrial complex continues to hold Black America hostage. Although Blacks make up only 13 percent of the US population, they make up 40 percent of the prison population, compared to whites who make up 64 percent of the US population and only 39 percent of the prison population. With the death of Trayvon Martin, a movement for Black lives was birthed against police brutality and a justice system where the scales rarely lean towards the oppressed. But the same people who want to see the depiction of Black trauma caused by their race often remain silent as modern day slavery also runs rampant with the use of state sanctioned violence. It's reminiscent of the lynching and murders of our ancestors. These factors, and the implication that anything productive could come from a show where slavery never ended was enough to prompt Reign, in conjunction with several other Twitter users, to mobilize with the hashtag #NoConfederate in effort to shut the show down. 3/ You're asking black folks to be okay with white people being entertained at the thought of the Confederacy existing now. HBO responded to last night’s backlash in the following statement: “We have great respect for the dialogue and concern being expressed around Confederate,” the statement began. Based on the response of HBO, the fight to shut down Confederate will not be an easy one as they have decided that we must wait and see before casting judgement. But for Black people, there is no need to see ourselves as depicted as modern-day slaves, living in a country where we sometimes feel that slavery has never died.